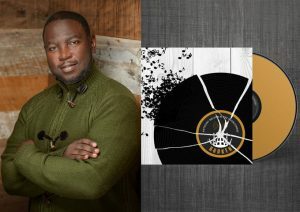 A brand new album from Anthony Nelson and the Overcomers is on its way. Entitled Worship: In Spirit and In Truth, the album is Nelson’s way of overcoming the often repetitive structure of Gospel music. Worship: In Spirit and In Truth is built around the group’s #1 Billboard Gospel song: Deeper. There’s a lot to love here for fans of any genre, with a cohesive blend of the band’s signature sound – a mixture of soul, folk (acoustic) and R&B. Sonically, listeners will be pleased with the diversity and uniqueness in sound, song structure, melody, etc. Lyrically, and musically, this EP conquers the often repetitious nature accompanying worship music with words that challenge listeners to truly explore the meaning of worshipping God in spirit and truth. The forthcoming Worship: In Spirit and In Truth is due out February 9th, 2018.